Over the span of about 20 years, the Pokemon franchise that began with humble TCG and Game Boy has produced dozens of beasts. Pokemon has become more popular after the viral mobile app ‘Pokemon Go’. Among the legendary creatures with unbeatable powers and abilities unique to themselves, it is difficult to decide which legendary Pokemon is stronger than the other. However, if you ever wondered about the strongest legendary Pokemon of all, here are the top creatures with the highest strengths and powers. Depending on the strength and power, we rank the Strongest Legendary Pokemon. Here are Top 10 most powerful Legendary Pokemon listed from the weakest to the strongest with information about their characteristics, abilities, backgrounds, and powers. The fictional character that belongs to the family of Pokemon from Nintendo, Deoxys was depicted as an alien virus. It is probably the most versatile legendary character that is able to assume any role. It can take forms which show excellent speed, attack and defense and this is why Deoxys is considered to be one of the strongest legendary Pokemon. Deoxys possesses powerful features like a crystalline organ on the chest which acted as its brain and that helped it regenerate itself from any attack. Deoxys first appeared in 2004 in video games like Ruby and Sapphire. It was featured in the movie Pokemon: DestinyDeoxys. With striped light purple body and long neck Palkia is one of the strongest legendary Pokemon and acquires a place on our list. Palkia is described as a god in Sinnoh region creation mythology and is believed to live in a gap between a parallel spatial dimension. It is known as the Spatial Pokemon and was able to warp space and create alternate realities. Its unique characteristic was its protectiveness for home. 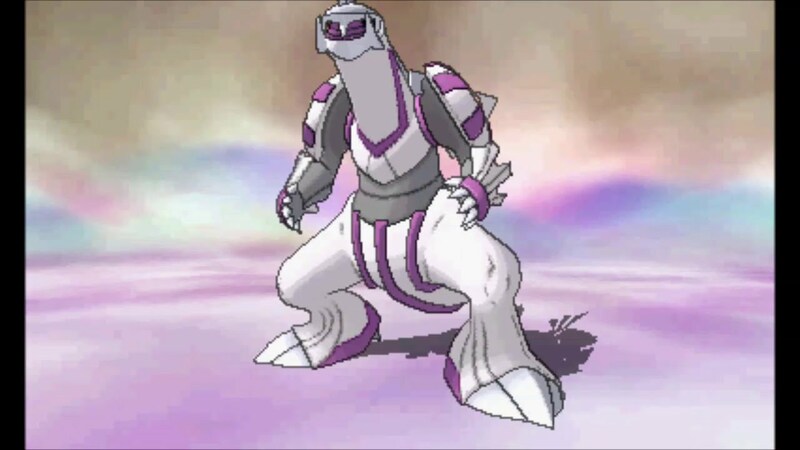 When Palkia appears in Pokemon Pearl, it is seen blending space and changing the look of things around. It first appeared in the Diamond and Pearl series of Pokemon movie and also played a role in the movie ‘The Battle Finale of Legend’. Palkia also showed some minor appearances in other movies. Being blessed with unique type combination, Dialga possesses amazing offensive and defensive capabilities. It is a Pokemon that is not evolved from any other Pokemon and cannot evolve into any other. Dialga features a dark blue body and a diamond on the chest. It resembles a dinosaur in appearance. It has the ability to manage time, slowing it, wrap it or stop it. Dialga, like Palkia, is very protective of its home. It first appeared in Pokemon movies in the Diamond and Pearl series. Dialga also made minor appearances in Pokemon Mystery Dungeon. Dialga’s major appearance can also be seen in the movie ‘The Battle Finale of Legend’. This dual type Pokemon features the characteristics of Flying as well as a Psychic type. This Pokemon too is not known to have been evolved from or into any other Pokemon. It resembles a Dragon and a bird in appearance. Lugia has a pale silvery white body and its mouth is in the form of a beak with pointed teeth on the lower jaw. Its wings look like hands and the neck is long. Lugia is believed to be the leader of the legendary birds. 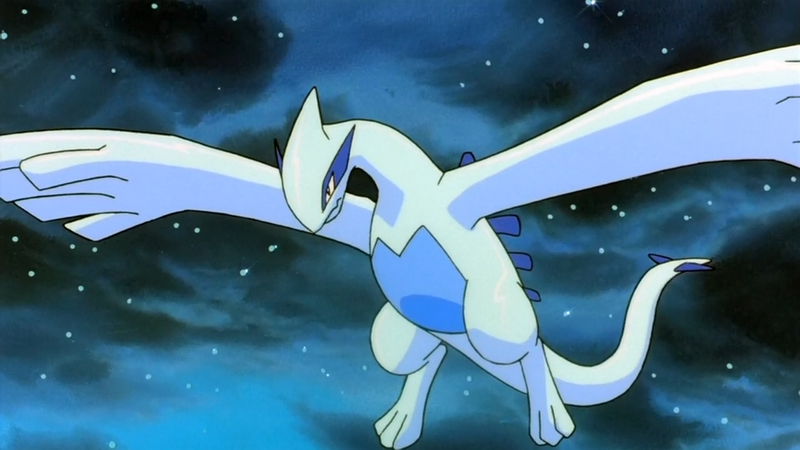 Lugia’s ability to control the weather along with its wings which are powerful enough to move or tear down entire cliffs, making it a feared opponent. Lugia’s major appearance was seen in the movie ‘Power of One’. Another minor appearance of Lugia was seen in the movie ‘The Mystery is History’. Next on our list is Kyogre, the water type legendary Pokemon which was introduced in Generation III. It is a great offensive threat in normal form but reaches an entirely different level under the primal form. 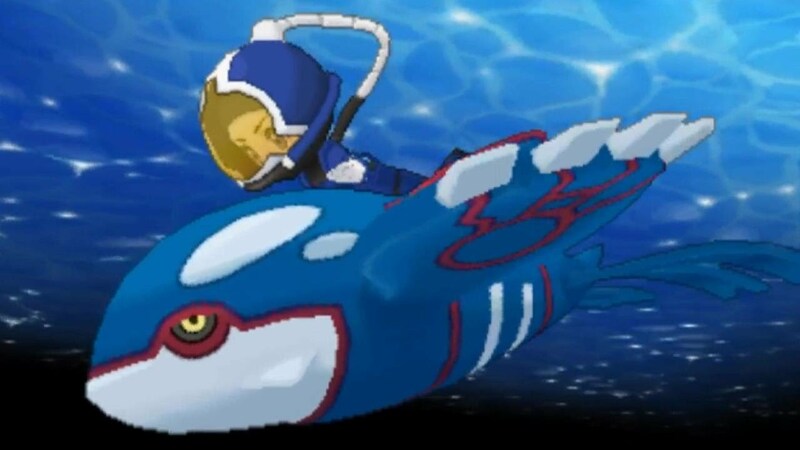 Kyogre features impressive bulk and a rocket high special attack making it a nasty Pokemon to take-on. It is capable of dishing out damage and soaking up damage. What’s more, Kyogre, not being a dragon type, gets a unique advantage over other god-like creatures. It has the ability to expand oceans. Its major appearance was seen in ‘Gaining Groudon: Team Magma’ and ‘Pokemon Ranger and the temple of the Sea’. Some minor appearances of Kyogre include ‘Mega Evolution Special II’, ‘Destiny Deoxys’ and other movies. 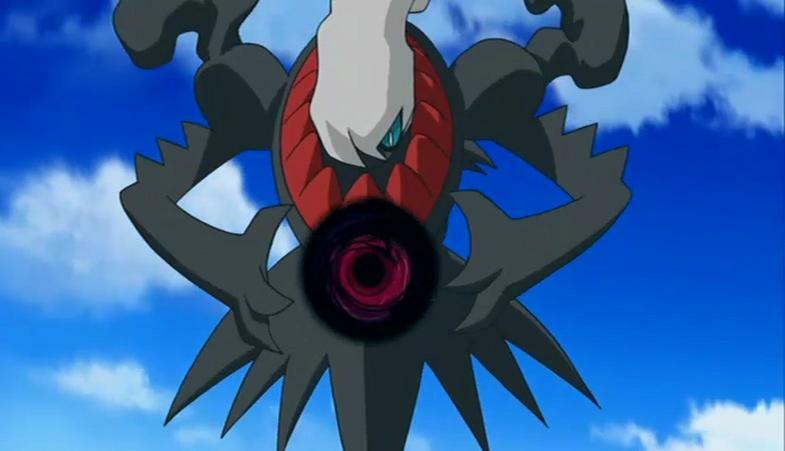 The character from the shadow type Pokemon list, Darkrai has a small head and blue eyes and white colored foggy ghostly plume. There is a pointed spike in growth around its neck. Darkrai has claw type hands and skinny arms. It has the ability to inhabit dreams and can make the enemies see nightmares forever. It can even turn into a shadow to avoid contact with humans or danger. Darkrai can speak some human languages too. Darkrai not only causes nightmares but is also attracted to them. It can go around objects it is attracted to. Its first major appearance was in the movie ‘Diamond and Pearl’. It has given short appearances in other Pokemon series as well. The mythical Pokemon with green circular eyes, Arceus looks like a centaur. Arceus did not evolve from any other Pokemon but changes its type upon holding a plate. Its ears are pointed upwards. Arceus possesses the ability to recreate the creation trio. It is also believed to have the power to bring back the things once destroyed, halt time and make things vanish into air. It would show compassion to those who treat it with kindness. Arceus is the only Pokemon known to learn Judgement. Its major appearance was in the movie ‘Jewel of Life’ and it showed minor appearance in ‘The Battle Finale of Legend’. The ground type legendary Pokemon, Groudon is blessed with the Primal Reversion and it turns into an entirely different beast upon transformation to primal form. It is a dinosaur-like creature with red plates of thick skin. It has four claws on each hand and blades on its tail. 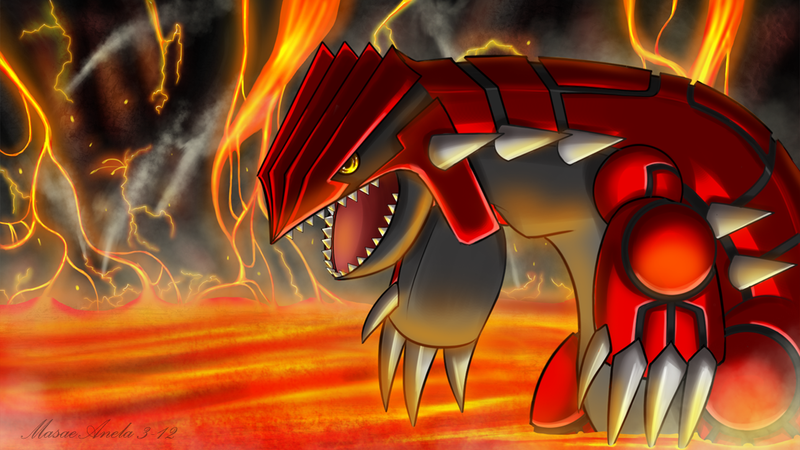 With power and strength to destroy other Pokemon, Groudon deserves a sure spot on the list of the strongest legendary Pokemon. The most impressive thing about this Pokemon is its ability to Desolate Land. It possesses the power to expand continents. Groudon can summon droughts and cause volcanic eruptions. It made appearances in ‘Gaining Groudon: Team Aqua’, ‘Malice in Wonderland!’, ‘Jirashi: Wish Maker’ and others. Ranking second on our list is Mewtwo, a genetically engineered monster with a set of powers and abilities. It is a Psychic-type Pokemon with a gray body, purple tail, and eyes and short horns. The tail has a small bulb at the end. Among all the Pokemon, Mewtwo has the most savage heart. It horrifies the enemies with glowing eyes and is super strong in battle. Most of the time, it remains inactive to save the energy for use in fights with other Pokemon. Mewtwo made a major appearance in the movie ‘The Battle of the Badge’. Another minor appearance of Mewtwo was in the movie ‘Mega Evolution Special I’. The Pokemon topping our list is the dual type of Pokemon which features a Flying-type and Dragon. Like other Pokemon on our list, Rayquaza is also not considered to have evolved from any other. Green colored Pokemon has a large body resembling serpentine. Its eyes are yellow and it can transform into Mega Rayquaza to show larger size and more power than normal. There is an organ inside the body of this Pokemon which functions like a mega stone. This Pokemon showed major appearances in movies like Mega Evolution Special II and Destiny Deoxys. It also had minor appearances in movies such as Zoroark, Rise of Darkrai and Mystery of Mew. One article is never enough to write on the fascinating world of Pokemon, the characters, storyline, and abilities are so vivid that it’s incredibly hard to make a ‘Top 10’ list, and I’m sure a number of you are already willing to debate the various ranks and positions on this list. If you have any point to add, please feel free to use the comments section below, we would love to have a healthy debate on this topic. Next article Top 10 – Best Naruto Episodes – #1 Will Get You Hooked! © 2016 quicktoptens.com All rights reserved.